Chandler attended Englewood High School (later known as Englewood Technical Prep Academy) on Chicago's south side. He began performing in the early 1950s with The Gaytones. In 1957 he joined a doo-wop group called The Dukays with James Lowe, Shirley Jones, Earl Edwards and Ben Broyles, quickly becoming their lead singer. 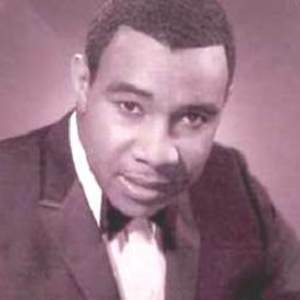 He was drafted by the U.S. Army to Germany for three years, returned to Chicago in 1960, and rejoined his bandmates. Through music industry contacts, the Dukays were offered a recording contract by the Chicago based Nat Records. The first single was titled "The Girl Is a Devil." In 1961, Nat Records released a song titled "Nite Owl", and the band went back to the recording studio to record once more. At the time, Nat Records wanted to release the new song "Duke of Earl", but was unable to. An executive with Vee-Jay Records, Calvin Carter, heard the song and wanted it for distribution as a song on his record label, but only as a Gene Chandler record. Vee-Jay were not interested in The Dukays. Meanwhile, the previously recorded "Nite Owl" was on the charts, putting Chandler in a dilemma. He thus recorded with The Dukays under the name 'Gene Dixon' and recorded solo as 'Gene Chandler'. When VeeJay was finally able to release "Duke of Earl", it sent it out as by Chandler, even though the Dukays had recorded it. The song sold a million copies in just over one month. "The Duke" was born. Chandler can be seen in the full 'Duke' outfit singing "The Duke of Earl" in the 1962 movie, Don't Knock the Twist, starring Chubby Checker. After spending three weeks at number one on the Billboard Magazine charts, Chandler got a cape, a monocle, a top hat and a cane. He simply became "The Duke of Earl" and his concerts drew a large crowd. Occasionally he would come out for an encore, usually "Rainbow." "Rainbow" was one of Chandler's collaborations with Curtis Mayfield, and the only song Chandler has ever recorded three times. Each time the song has been re-recorded, it became a hit all over again. Chandler left Vee Jay and recorded for Constellation Records and then for Chess and Brunswick Records. He wound up recording for Chess and Brunswick at the same time. This left the record labels with having to work out a compromise. It was decided that the companies would alternate Chandler's releases, a new one from Brunswick, followed by a release from Chess. In 1964, he had a Top 20 pop hit with the Curtis Mayfield produced "Just Be True"; another Top 20 pop hit in 1965 with "Nothing Can Stop Me", another Mayfield song, and hits throughout the 1960s with the songs "What Now", "A Man's Temptation", "Bless Our Love", and "You Can't Hurt Me No More". He also had success with his cover of James Brown's "There Was A Time" (taken from his 1968 Brunswick album of the same name); and "You Threw A Lucky Punch" - Chandler's answer song to the Mary Wells' Motown hit "You Beat Me To The Punch". Almost all of these songs were Top 5 R&B hits. To date, Chandler has had more than 30 chart hits. Throughout his career, he has maintained a close personal friendship with Mayfield, Butler, and the other members of The Impressions (Sam Gooden and Fred Cash), and they could be frequently heard as background singers on his recordings. In the late 1960s he also recorded a couple of reasonably successful duets with Barbara Acklin. In 1970, Chandler teamed with Butler for the album Gene and Jerry: One on One on the Mercury label . He also guest starred with Mayfield, Butler and the group on the live album: Curtis in Chicago (1973). After a number of years on the road, Chandler decided to become more involved with the business end of the music industry. He produced, wrote, arranged, and he had another major hit in 1970 on Mercury. "Groovy Situation", was a pop and R&B success (reaching #12 and #8 respectively), his second biggest hit after "Duke Of Earl". This disc sold over one million copies, and received a gold disc awarded by the R.I.A.A. in November 1970. The hits he recorded and produced earned him The National Association of Television and Radio Announcers 'Producer of the Year' award in 1970. It should be noted that Chandler was nominated with Kenneth Gamble, Leon Huff and Norman Whitfield, who were successful producers at that time, working with The Temptations and the Philadelphia soul sound. Chandler went on to have a number of disco era hits, including "Get Down," "When You're #1," "Does She Have A Friend?" and "Rainbow '80." Most of these were more popular in the United Kingdom. At that time, he was also the Executive Vice President of Chi-Sound Records, and worked with reggae star, Johnny Nash. In the late 1970s, even whilst he was placing hits on the disco chart, the nostalgia craze began. DJ Wolfman Jack put together a traveling show of "oldies" acts, and Chandler joined them in the travels around the country. In 1997 Chandler was inducted as a Pioneer Award honoree into the Rhythm and Blues Foundation. In 2002, his #1 hit recording of "Duke Of Earl" was inducted into the Grammy Hall Of Fame. He still performs in Chicago, Las Vegas and elsewhere around the U.S.